I don’t know about you but I find choosing present for the children tricky. From my perspective they have everything they can possible need. From their perspective they are hoping for the wow factor with their gifts from Father Christmas. As they grow older charity shop finds don’t feel as though they cut the mustard (although last weeks find of a pin ball football machine is tucked away in my neighbours shed ready for the big day!). In our home this dilemma is made all the more tricky by their birthdays being 10 days before Christmas, and 10 days afterwards (we planned that well!!). Our youngest has been requesting a pet for some time. He adores animals, a trip to the zoo is his all time favorite activity. He currently wishes to be a zoo keeper in the day and a rock star in the evening. However he struggles to touch a pet, animals are fine from a distance! 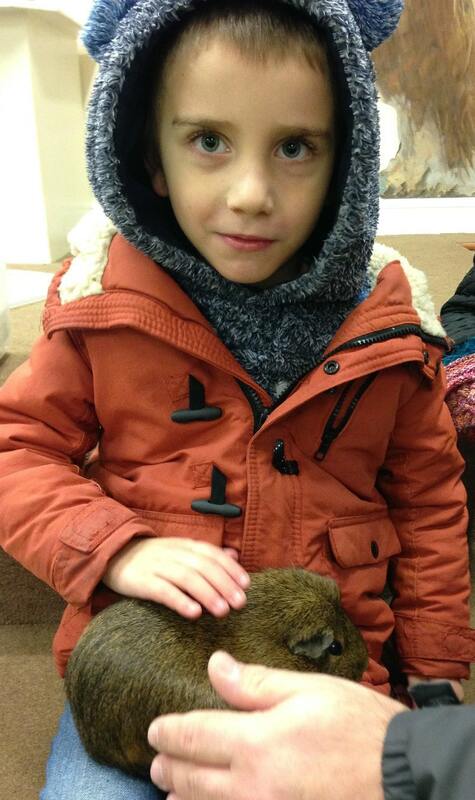 We are delighted that he recently managed to overcome his fears and hold a guinea pig. For him this is an enormous step forward. For us this means guinea pigs are top of the Christmas list, in our efforts as parents to help to continue to overcome his fears of touching and holding animals. But this is all about them and what they want. How do we continue to embed in them just how blessed they are? How they can make a difference to others less fortunate? As parents teaching them to care for others is vital. On the run up to Christmas we have sorted toys for the less fortunate and given food for the foodbank (I missed the deadline for filled a shoe box for the shoe box appeal). 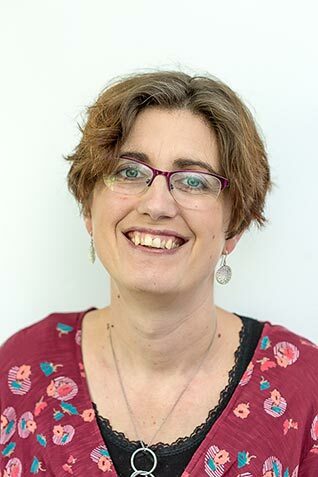 My husband and I were brought up in homes where it was normal to tithe your income, supporting your church and charities. Nowadays we may have different perspectives on faith but the lessons learnt about supporting others remain. 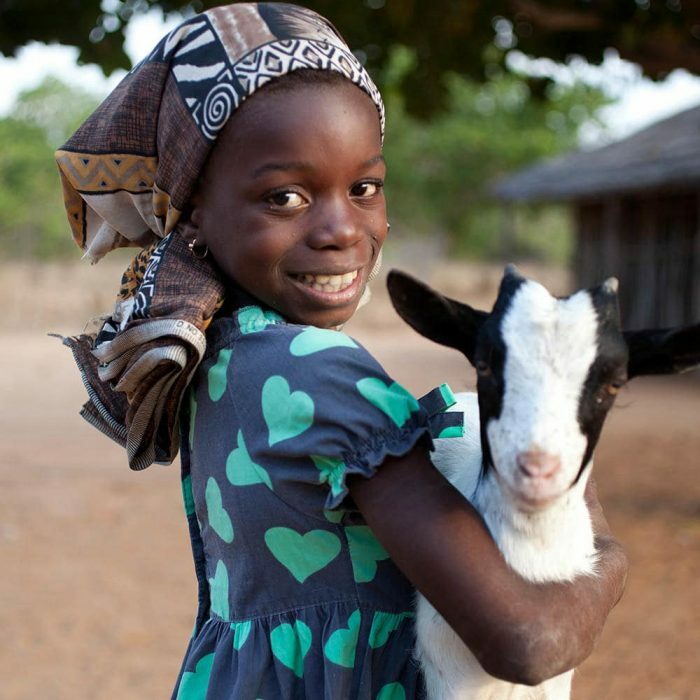 This year Father Christmas will bring the children a gift of a goat for a family in Niger, via Oxfam. By buying the children a goat we are able to prompt conversations about supporting others in a sustainable way. I recently learnt how Oxfam support people to run businesses within war torn areas. I was particularly moved when I read Qassim’s story. 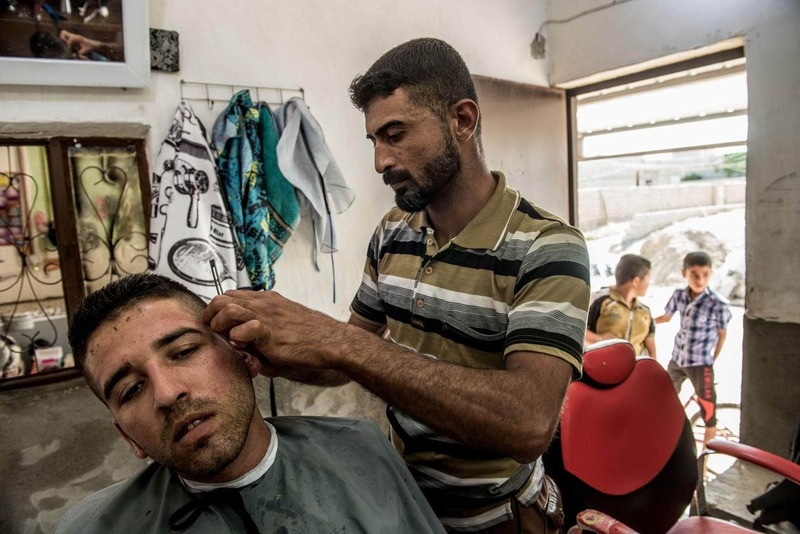 Rokam Hamoud cuts a customer’s hair in his barber shop in Husseini. The shop was looted by ISIS in 2014, but support from Oxfam has helped him to rebuild the business. Living in Iraq he was able to reestablish his business with the support of Oxfam. They provided his with the tools of his trade, enabling him to become self supporting. A barber rebuilding his business and his life, one haircut at a time. In our world there a huge number of conflicts happening. This Christmas lets take a moment amongst the craziness to count our blessings and consider how we can support others. I would love to hear your suggestions about how you engage children in valuing all they have and considering the needs of others. "How to line a picnic hamper (post sponsored by Volkswagen)"
"Recycle Plastic Cotton Reels – Upcycled Christmas Decoration"